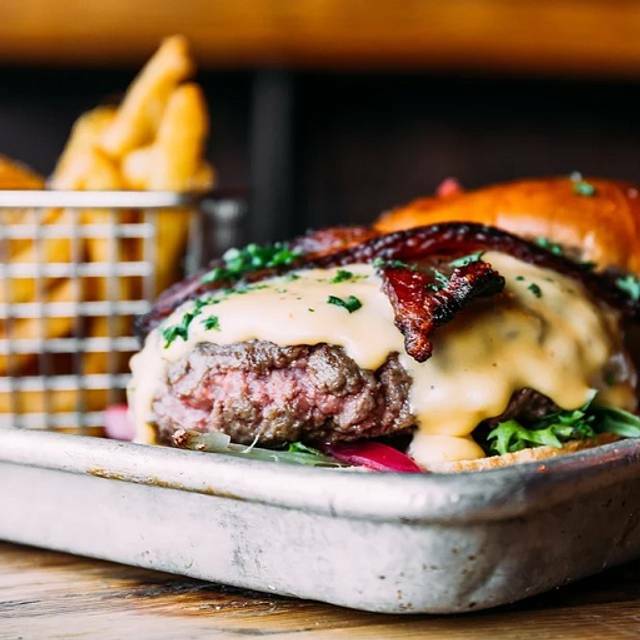 Warm alehouse with patio offering craft beer from a long list, plus an elevated tavern menu. 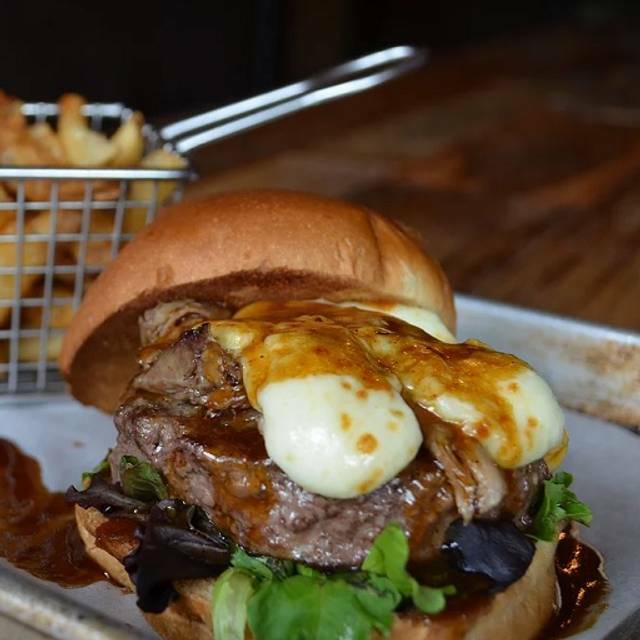 Men's Journal Voted the Beer Cheese Burger Top 25 in America. Please note, patio seats are not reservable but will we will do our best to accommodate your request. Our waitstaff was outstanding! We had a big, chaotic crowd and she kept it organized and was very patient with us. The vegan options are what makes your establishment my favorite. Thank you for having us all to celebrate my 40th! My fried chicken was very bland. One persons medium hamburger was more like very rare. So noisy had to yell to be heard practically. And prices are high for what you get. I won’t be back. The vegan food was phenomenal! Waitress was very friendly, it was a little cold (the window was open) and for us over 50 crowd the bench seating wasn't the most comfortable but would definitely return and recommend. Server Parker was friendly and attentive. He knew the menu and could answer any question. Food came out pretty fast and was served hot which I really appreciate. My regular spot! Always great service, awesome food and the best beer selection in town. The food was excellent! I am excited to find another VEGAN restaurant and the vegan choices were FABULOUS!!!! I will go back and often!! Our waiter was awesome and the buffalo cauliflower was so good!! Will be back to try other menus options! Serving size was small and seating was cramped. The windows were open so it was very cold. Loved all the vegan options! Came for a friends birthday dinner. Everyone loved their food, we definitely plan to return! I ordered the vegan chicken and waffles. The chicken was good but I had to have my waffle redone. 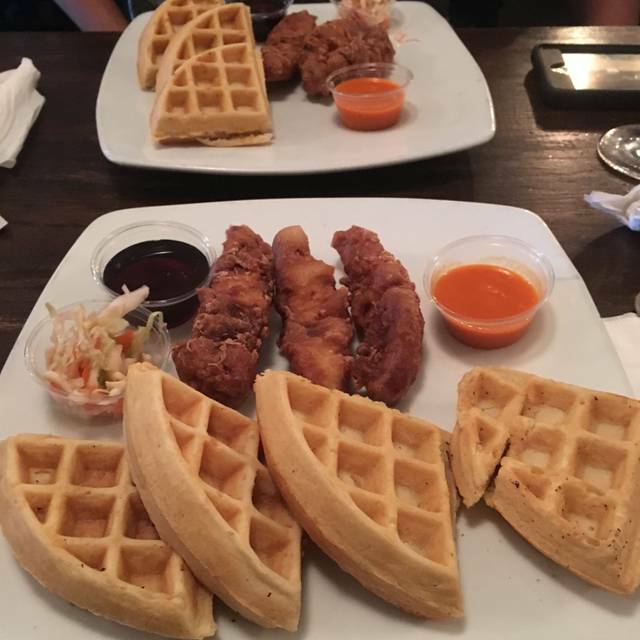 My friend ordered the revalue chicken and waffles and returned her dish for something else. Our waitress could have been warmer, but the manger was really pleasant and accommodating. While my initial experience wasn’t wonderful, I would be open to returning at some point down the road for a second chance. We were seated very quickly. Our server was very attentive, made some great beer recommendations and helped us decide on apps and entrees. We were seated next to a large party so he went out of his way to speak with the kitchen about getting our order in first so we wouldn’t have to wait too long. The food was delicious-get the scotch egg! 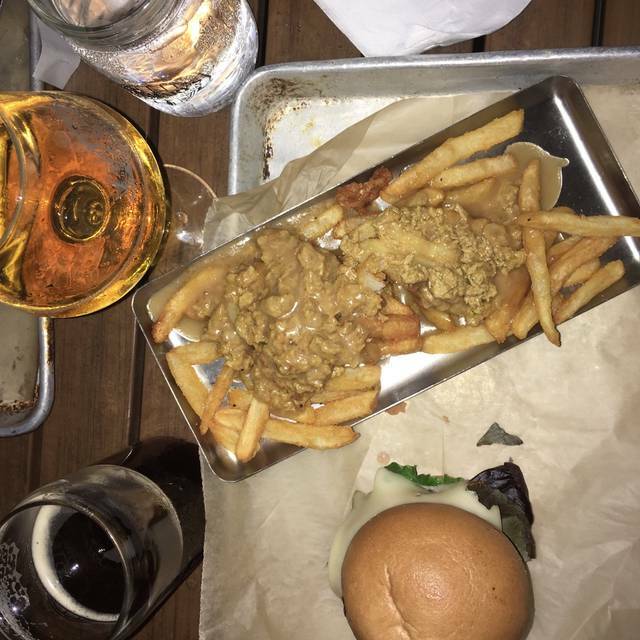 Great place for good vegan food and a great beer selection. Parker was a great server. I love this place! 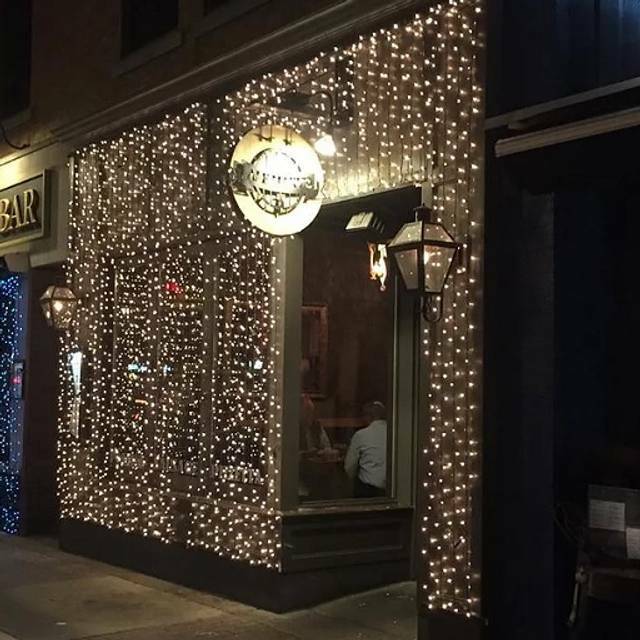 They have great food, drinks and a fun environment! Vegan Buffalo Cauliflower was $9.75 for 5 pieces! 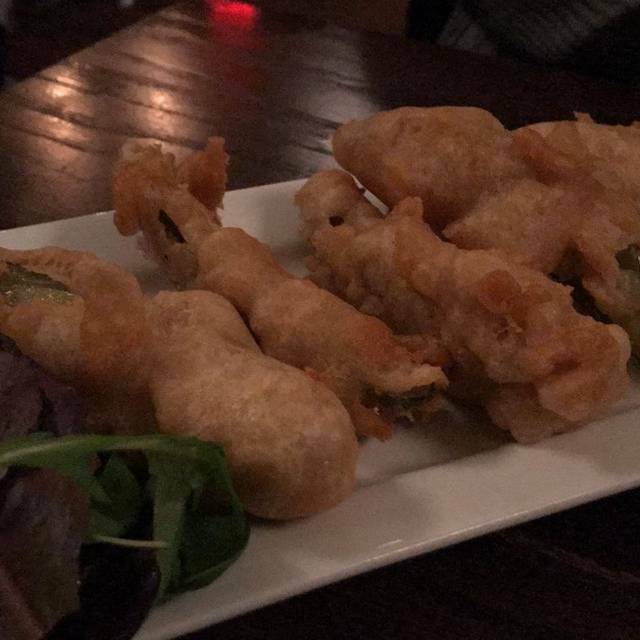 Fried Pickles were $10.50 for 4 pieces! Everything was awesome. Our table was ready and reserved . Food was delicious and the vegan drinks. I was impressed. Many times when I go out with my friends there are very few vegan options on the menu but not at Ale Mary’s!!! One half of the menu is all plant based!!! Looking forward to my next visit to try something new! Although the food was not terrible, it wasn't exceptional either. Our waitress forgot she had a table and didnt come to see how everything was until we were nearly done. Nice service all things considered with decent food. Not a terrible experience. Just OK. Was expecting more with all I've heard about the place. Love the menu! Great vegan options for my daughter including an awesome vegan bumpy Cake!!!! Great ambiance! It’s a casual spot that offers a large menu of vegan options, which is what drew us in the first place. Great service, friendly staff... amazing food. Highly recommend checking out! 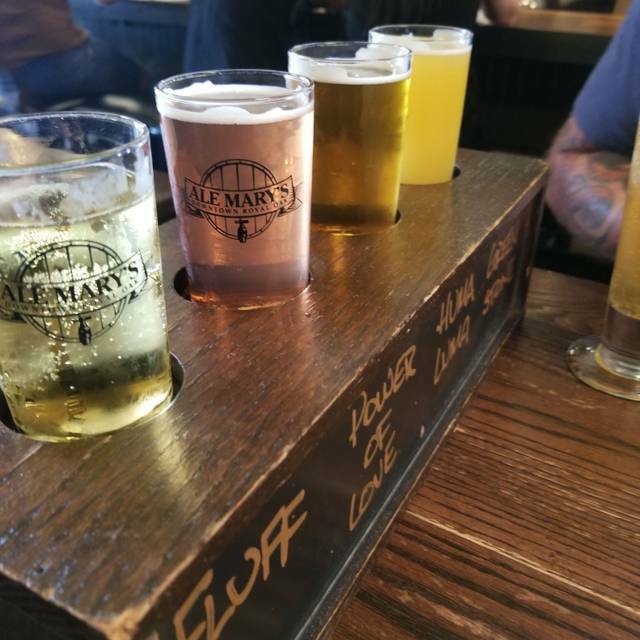 I was really excited about making a trip to Ale Mary's, especially given the broad vegan menu. Unfortunately it took us over 20 minutes to get a server to our table (and we had to get her attention). Once we did get service, our server was really wonderful and accommodating. The food was fine, but nothing spectacular. Great selection of beer. Amy our server was phenomenal. She took great care of us and had us laughing all night. Thanks Amy! Great food, great service. Huge vegan menu and regular menu. Very loud and cramped quarters, so get cozy with your neighbor. But overall, really great experience. 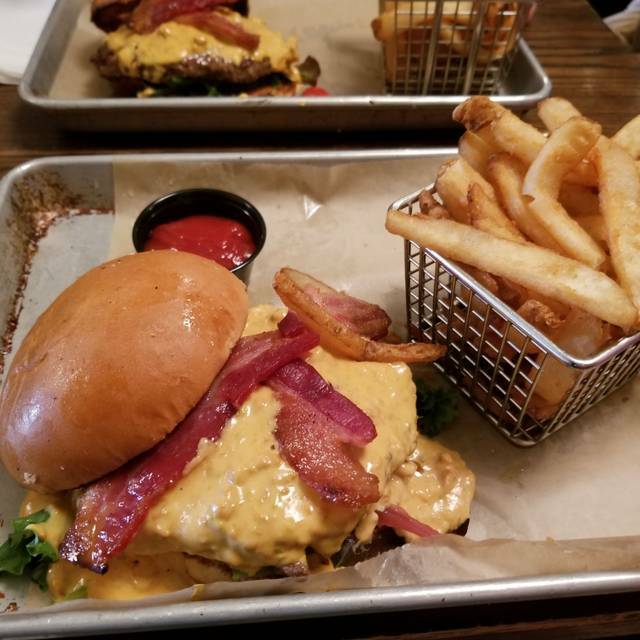 Can't go wrong with the beer cheese burger. The more I go to this restaurant, the worse it gets. I go specifically for the vegan menu. They were out of most of the items this particular evening. The one thing that I ordered, for myself and my husband...was not good. We ordered the “chicken” and waffles. Waffles were too hard to even cut. Best chef works during the lunch time. Love this place! Menu provides something for everyone! Food was good. Place extremely loud and crowded. Way too many tables crammied in not enough space. The fried chicken was very hard on the outside as if it was cooked in oil that was to hot. Looked almost black. It must of been finished off in the oven because the chicken it's self was moist. Great food. Love the vegan options. Staff is amazing. But I don’t love communal tables. Love that they have so many vegan options! And I love that you have a black bean burger in addition to Impossible/Beyond because those are almost too much like meat for me to enjoy. Please don't get rid of the black bean burger option! Excellent food and service. We love the vegan menu and the gluten free options. 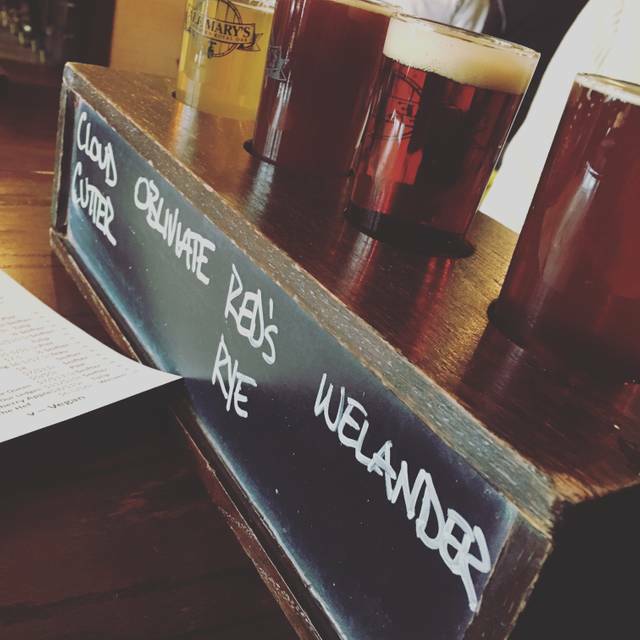 Incredible beer list! I made a reservation in the morning for a big group of work friends. They had our table reserved and had a server ready to help as people came rolling in. It was a great experience. They were accommodating and did not pressure us to leave in a hurry. We all had a wonderful time!